For the first time in more than two years, the Monetary Policy Committee (MPC) of the Central Bank of Nigeria (CBN) on Tuesday adjusted interest rate downwards to 13.5 per cent. Emefiele said in arriving at the decision to adjust MPR (interest rate) downwards, “the committee was convinced that doing this will further uphold the banks’ commitment to promoting strong growth by way of encouraging credit flow to the productive sectors of the economy. Asked if there was a relationship between slashing interest rates and the loosening stance of the MPC as signalled yesterday, and funding Small and Medium Enterprises (SMEs), Emefiele explained: “To a reasonable extent, there is a relationship between lending to not just SME but to the agriculture, manufacture and the real sectors of the economy and our decision today. “The reason being that if you consider the fact that, for instance, January 2017, inflation had risen 18.72 percent and by December 2017, as a result of the pressure on the foreign exchange market, reserves have dropped to about $23 billion and by that same month, even what was accruing into Central Bank had dropped to about $500 million from as high as over $3 billion sometime in August 2013/2014. 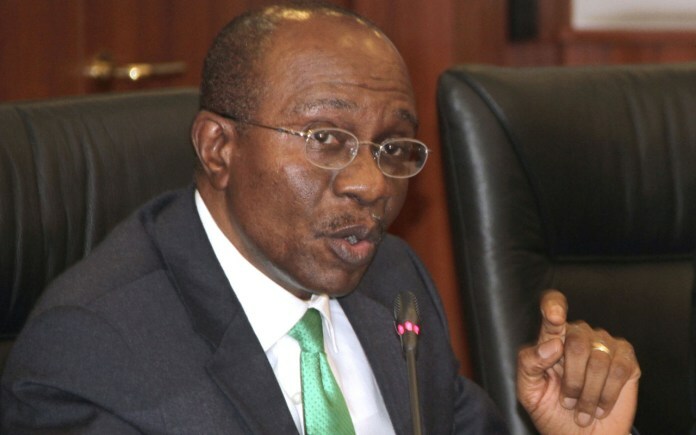 Defending the decision further, Emefiele noted that “having being on this part, particularly the MPR at about 14 per cent since July 2016, and with the relative stability we have seen in the macroeconomic variables over the last two to two and a half years, we just think that this should be the next phase where we begin to think about consolidating growth. This should be the next phase where you should be talking about how do we create more jobs and reduce the level of unemployment in our country for people. The CBN boss, however, sounded a note of caution, saying “there is a need for us to say, listen, we need to consolidate on what we have achieved so far and that is to begin to look at the level of growth again. Accelerating growth, he explained, “means that we need to push harder to consolidate GDP, we need to push harder to make sure we create jobs and we need to push harder to diversify. On the growth projection of 2.7 per cent by the CBN, Emefiele said: “We have actually been in positive growth trajectory in the last five to six quarters with an average GDP growth of about 1.9 per cent. I think that if you look at the trend from 2017 into 2018, we will naturally say that if we push hard, even harder than we have done in the past, that we should be able to attain the 2.7 per cent and three per cent growth. “What we are just trying to say here is that with the data available, and with consistency and with the push, that we are positive we will be trending towards 2.7 per cent to three per cent in growth rate which is actually not fantastic if you consider where Nigeria’s growth trajectory has always been around five per cent. The MPC decided by a vote of six out of 11 members to reduce the MPR by 50 basis points, that is 0.5 per cent. Two members voted to reduce MPR by 0.25 per cent – that is 25 basis points. A member voted to reduce it by 100 basis points, which is one per cent. Two members, however, voted to hold MPR at its current level. Ten members voted to hold all other parametres constant while a member voted to reduce the Cash Reserve Ratio (CRR) by 100 basis points from 22.5 per cent to 21.5 per cent. The MPC also noted the need to rebase the economy (GDP), which was last done in 2010. Reacting to this development, Prof Uche Uwaleke of the Nasarawa State University said: “The reduction in MPR by 50 basis points signals the CBN’s desire to relax monetary policy to support economic growth. Obviously, it is a right response to the declining inflationary pressure and the relative stability in exchange rate which have prevailed for quite some time. “Moreover, on the external front, crude oil price has stabilised around $65 per barrel while the US interest rate normalisation has slowed down. All these must have combined to influence the MPC decision which is expected to increase the flow of credit to the real sector.